The English composer Steve Elcock (b. 1957) has been writing music since his teens, but with virtually no contacts in the musical world, told no one what he was doing – and thus has evolved a compelling symphonic style entirely his own, combining virtuoso orchestral writing with a sense of momentum that has its roots in the Nordic-British tradition of Sibelius, Nielsen, Simpson, Brian and similar figures. His Third Symphony is a vast canvas generating fierce energy and titanic violence, leavened at times by a sardonic sense of humour. Choses renversées par le temps ou la destruction is a dark symphonic triptych where fragile beauty is constantly at threat from the forces of ignorance. The breezy, buoyant Festive Overture, by contrast, has a Waltonian swagger that barrels on with relentless good humour. 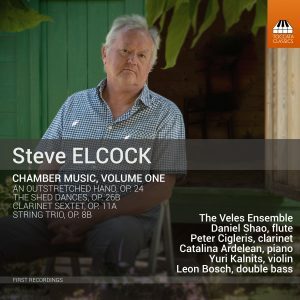 The name Steve Elcock will not be familiar to most lovers of classical music, including afiçionados, but if there is any justice in the musical world, this situation will be reversed, and needs to be. The first disc ever released of Elcock’s music is, to use a massive understatement, quite something. 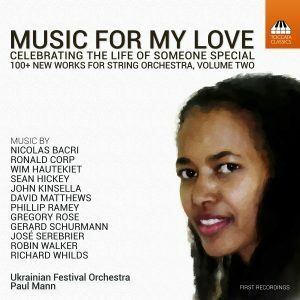 I can only echo what others more qualified than I have said: that it is remarkable that such individual, well-wrought and captivating music has had to lie in wait for decades to make it to recordings. 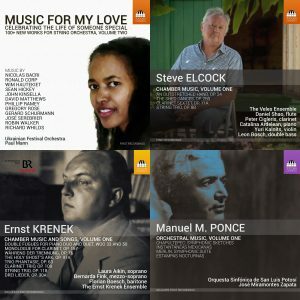 Elcock’s masterful orchestrations are wonderfully imaginative, not a note (or a timbre, or compositional device) is wasted; the music is fresh, bracing, exciting, cinematic, intriguingly designed (and, in the case of one work, deconstructed); there is an immediacy to it which is enchanting and the listening experience leaves you wanting more. Further discs will be eagerly awaited. 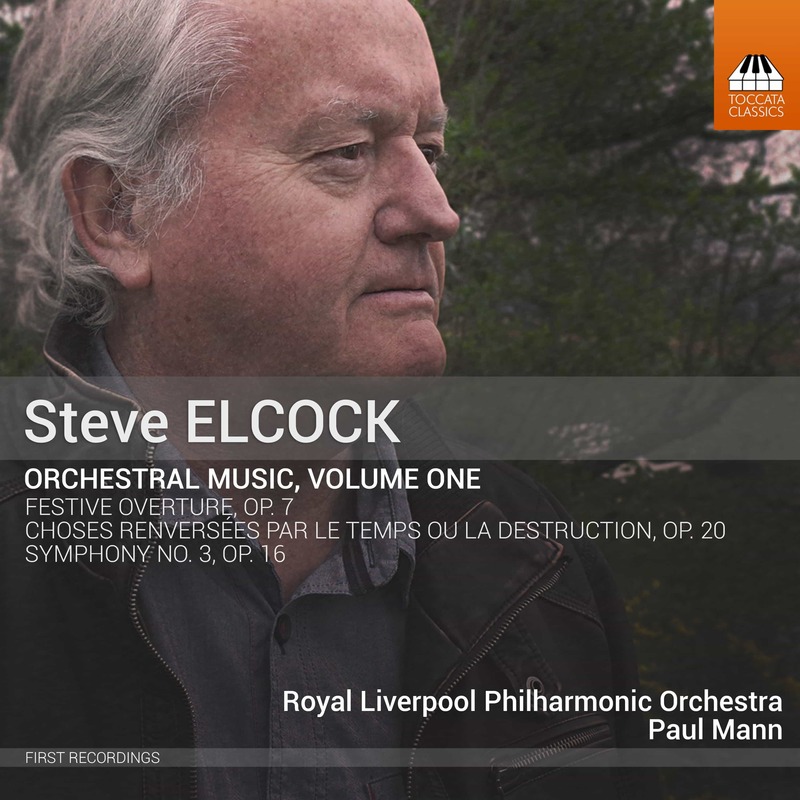 I hope Elcock’s star will rise thanks to this recording and the diligence shown by conductor Paul Mann, the Royal Liverpool Philharmonic Orchestra, label owner Martin Anderson and everyone else involved, but most especially because the composer’s music is thrillingly new, honest, personal and unencumbered by claims of derivation from other composers – claims that can sometimes hamper a composer’s voice. Add to this the, by turns, unassuming and immersive booklet notes by Elcock and Mann and the disc should, by rights, gain all involved the attention that their hard work deserves. Elcock’s story is truly inspiring and I unreservedly recommended this release. This is one of the real gems in the Toccata catalogue. It has rightly (and understandably) received glowing reviews. 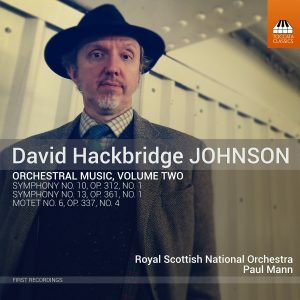 It was chosen as ‘Album of the Week’ in BBC Radio 3’s Saturday review programme and was one of Gramophone’s reviewer’s issues of the year in a piece in which, also lauding David Hackbridge Johnson’s CD, he spoke of a ‘golden age for [British] symphonic music’. It is heartily recommended. Not to be missed. unbelievable ! the third symphony of Steve ELCOCK makes us dive into a world of so many emotions. It is undeniably one of the most emblematic pieces of recent years.